Our early childhood programs are designed to provide parents with a variety of activities for their preschoolers during the day. Parents have the flexibility to choose one or all three programs to design a program that works best for them. Bring your lunch and stay all day in a supervised environment! Staff provide safe transitions, escorting students from one class to the next. 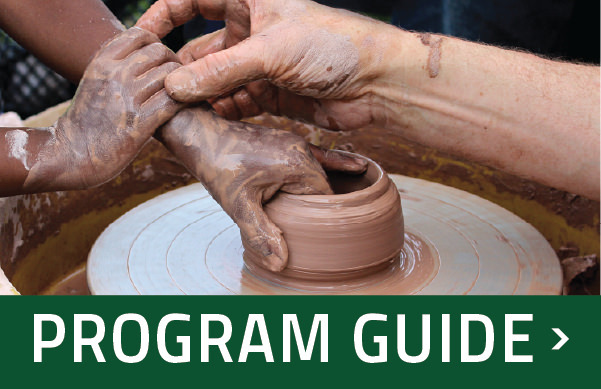 Please select see our current Program Guide for more information. The Art Smart Kids Program provides supervised art-focused recreational activities for children who do not attend kindergarten. Art Smart Kids will develop your child’s creativity, imagination and self-expression through activities in music, movement, creative dramatics, storytelling, crafts, and two & three dimensional art. Like Busy Bees, Art Smart Kids allows your child to learn in a fun, safe environment, however, Art Smart Kids focuses on preparing your child’s creativity and artistic awareness before they begin Kindergarten. Art Smart Kids will provide opportunities for participants to develop their creativity, imagination and self-expression, as well as to grow socially and emotionally. Online registration not available for this program. The Busy Bees Preschool program is a kindergarten readiness program. Busy Bees provides a simulating and secure environment in which your child can grow socially, intellectually and emotionally. The children have opportunities in large and small groups for music, outdoor play, creative play, math and reading readiness activities, organized games, arts and crafts activities, and stories. Busy Bees allows your child to learn in an enriched setting; however Busy Bees focuses on preparing your child intellectually for Kindergarten. Short units are planned and taught by experienced and caring teachers with child development credentials. Music, stories, games, creative play, arts, crafts, outdoor play, and math and reading readiness activities are provided by caring and experienced teachers. Children ages 4½ to 6 years old missing the kindergarten cut-off date for elementary school or having had two years of preschool may enroll. This program gives children an opportunity to enjoy more relaxed preschool activities such as crafts, music and recreation. This program is an excellent complement to both Art Smart Kids and Busy Bees. It provides time for the children to enjoy themselves after working hard reading, painting and acting in the morning. If children attend this program directly after attending our morning preschool program, we will provide supervision while the children eat their sack lunches. Join the fun with glue, paint, pasta, sponges, foam, pudding, beads, and more. Your child will paint at easels, play with play dough, gravel, sand, shaving cream, and have lots of fun! Get as messy as you want! Gather together for story time at the end of class. Parents may participate with their child. Wiggle, Giggle, Climb & Play is a physical activity class for fun and learning. Creative movement, basic ball skills, musical games, and combination parent-tot exercises will be included. A variety of equipment will be available for parent-tot play after the organized activities in the preschool playscape. It’s preschool 101! Each week, the class will focus on a specific theme such as safety, exercise, science, manners, the alphabet, numbers, and colors. The classes will center on small and large motor skills, sensory experiences, and socialization skills. Kids will have so much fun, they won’t even know they are learning! Parents may participate with their child. Friday Funsters is a preschool camp held on Fridays for eight weeks. Themes include “Out on the Farm,” “Water Day,” and “A Hiking We Will Go!” The camp includes indoor & outdoor activities, storytelling, arts and crafts, music and movement, and snacks. Drive-up drop off will be provided. 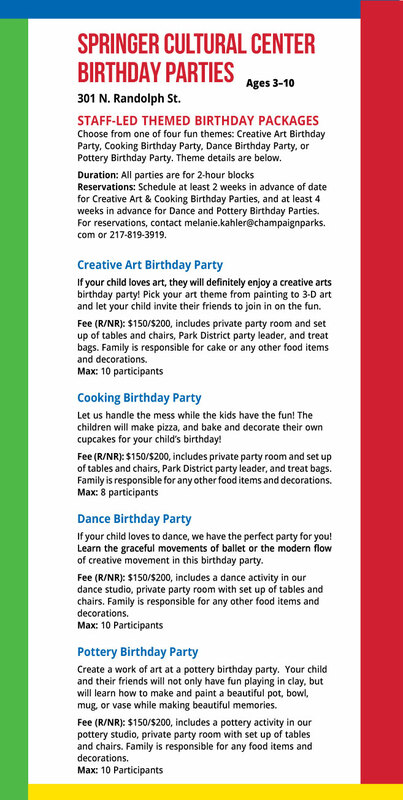 See our Program Guide for more info on these (and other) preschool programs.